Arsenal and Spurs to fight for Ben Kennedy Arsenal are set to fight local rivals Tottenham Hotspurs for Stevenage youngster Ben Kennedy, according to reports. Arsenal are set to fight local rivals Tottenham Hotspurs for Stevenage youngster Ben Kennedy, according to reports. 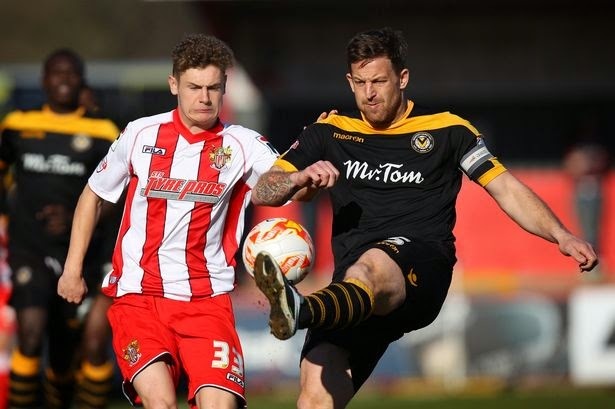 Sunday Mirror reported that both the London sides are keeping close tabs on the League Two starlet Ben Kennedy. The North London outfits who are fighting for the Champions League spot will now also fight to secure the teenager’s deal. The 18-year-old is a versatile player, can be used in variety of midfield positions. Kennedy is currently impressing in the League Two, he has scored three goals in ten games for Stevenage so far this season. The Northern Irish midfielder has been tipped as a future star and the reports believe that Arsene Wenger is likely to win the race. Arsenal scouts have been keeping tabs on him in the past few games. The Gunners have a good history of developing teenagers under the French boss Arsene Wenger and it could be a positive point which might lead Kennedy to join the Emirates side. However, Spurs have also started to do the same under new boss Mauricio Pochettino who has been giving opportunities to youngsters. Harry Kane is one of its example. Also Read: Harry Kane..Is there more young talent to follow from England? Dele Alli and DeAndre Yedlin are also in the queue to get a chance at White Hart Lane.